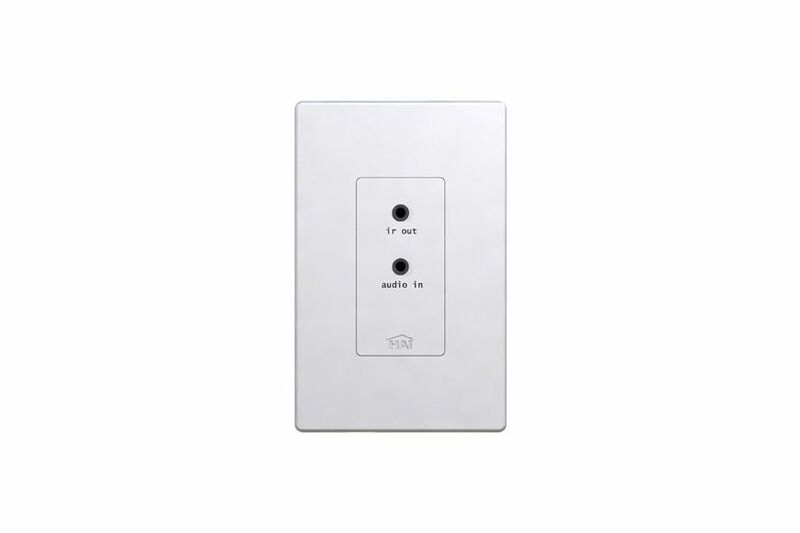 The Remote Input Module is a Remote Audio Input / Infrared Output Module, Decora style, white, IR Flasher. Uses Standard Cat5 Wiring. Place Remote Input Modules (RIMs) in rooms that will have music sources that you wish to use. When you plug any music source into a RIM using a standard stereo input jack it can be shared with any room that has a Volume-Source Control (VSC), regardless if the VSC is in the same room as the RIM. Additionally, RIMs feature a routed IR emitter jack and include a flasher to allow you to use the remote of your source equipment in any room that has a VSC. Note that 8 local inputs on the Hi-Fi 2 main amplifier board can also be used, and are intended for items like HAI Music Gateway, Internet, Satellite Radio tuners, and other local sources. Switch Color Change Kits for RIMs (HAI Part Number 95A10-colorcodeCS) are available in White (WH), Almond (AL), Light Almond (LTA), Black (BL), and Ivory (IV). They are sold in case lots of 12 only.